The University of Texas Longhorns have been defeated by the Aggies! — at least in popularity in the Lone Star State. Roughly 22% of Texas voters claimed to be Aggies fans, leaving the Longhorns with 20% of voters favoring them, according to the Public Policy Polling. Texas A&M is now recognized for having the largest amount of fans in the entire state, an unexpected but incredible climb to fame. 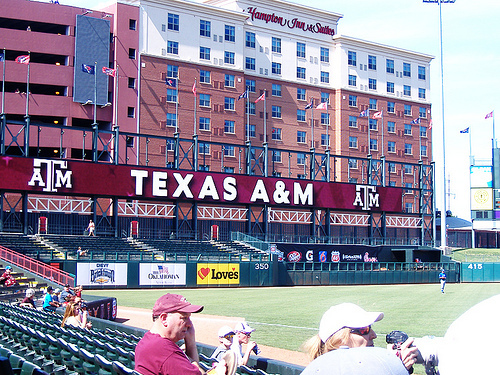 The Texas A&M team has made great achievements this season and is only expected to make more. The poll also revealed that many Republicans favor Texas A&M while many Democratic voters tend to side with UT. The most significant poll from Associated Press indicated that A&M ranks 10th, while UT is falling far behind at 23rd. UT has a long way to go before getting ahead of A&M again.